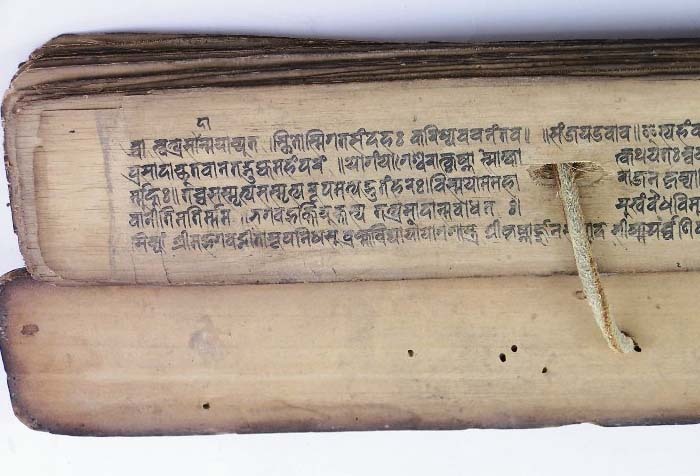 A Gujarati religious text on 39 palm leaves between acacia wood covers; probably from the 1700's; the leather string is new, and the original would surely not have been made of cowhide! 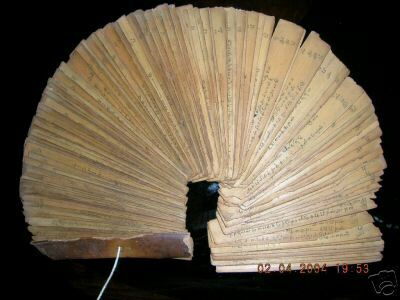 "This palm leaf manuscript has 126 leaflets (folios), each measuring 7 inches long and 1 inch wide; there are 4 to 6 rows of written matter on both the sides of the leaflet which are very legible.The thread is new. Age: 150 +/- 20yrs. Region: South India (North TamilNadu). Language: Old Tamil. 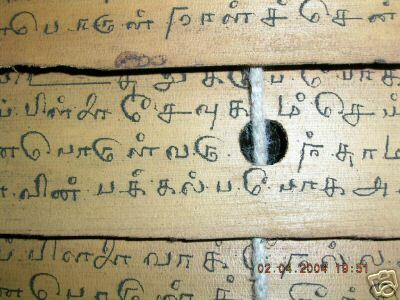 The entire manuscript is on Tamil Jyotisam, or astrology. It has 12 chapters dealing with the various positions of the planets and their effects on humans. Topics covered : Health, Wealth, Family ties, Prosperity, Speculations and Unforseen circumstances. 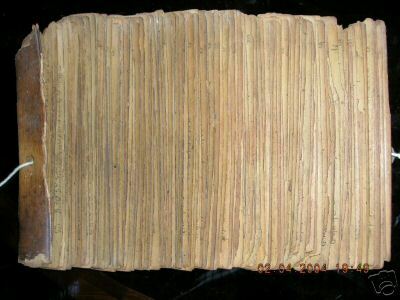 Lontar or palm leaf manuscripts were traditional manuscripts inscribed on leaves of the Lontar palm and used in some parts of Asia. 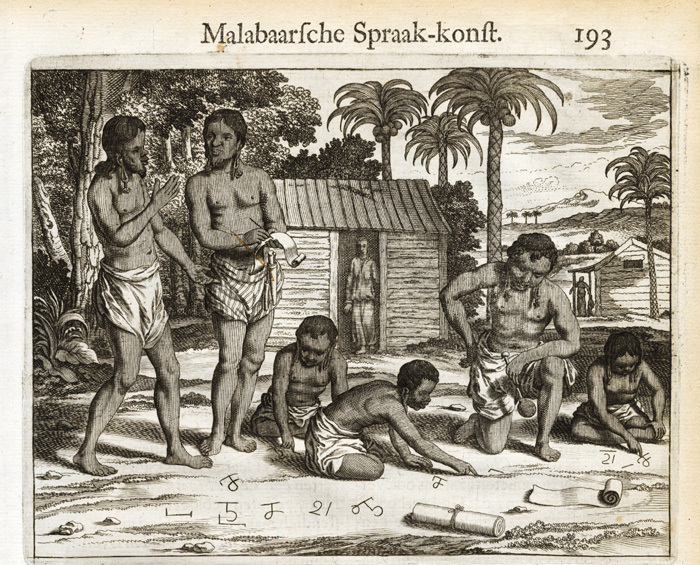 Lontar palm leaves were cut in strips and preserved between pieces of wood. 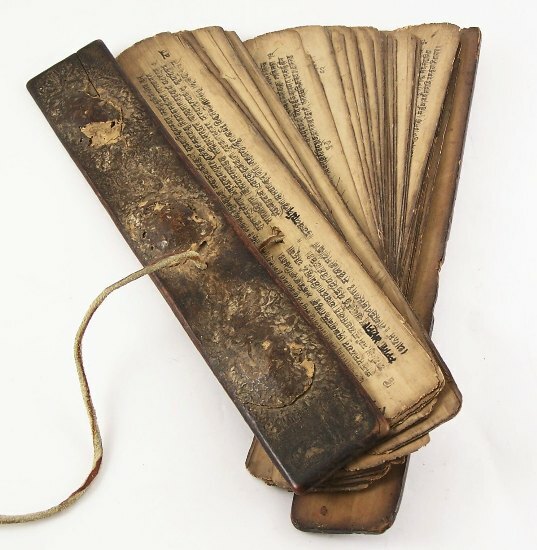 After being flattened and polished smooth with sand (or boiled in water or milk to make them strong depending on the type of tree used), they are strung on cords, bound in boards. 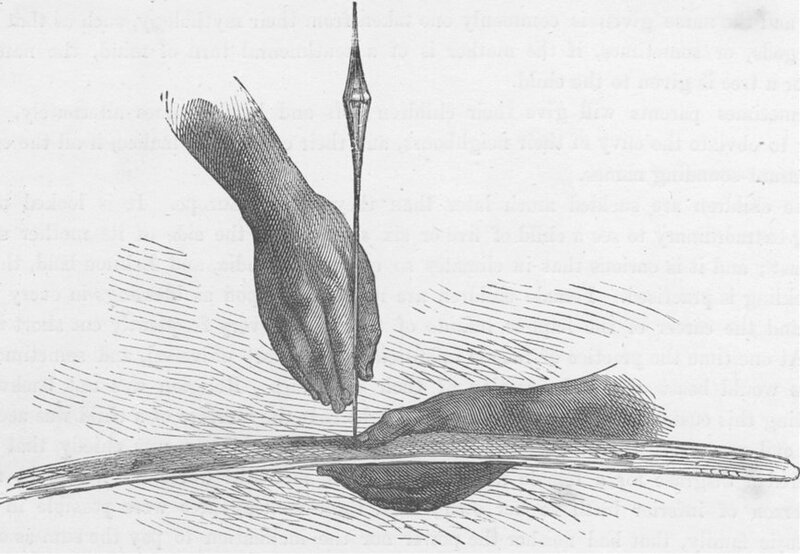 The leaves are inscribed with a stylus and then filled with ink made from charcoal and oil so the words are visible. 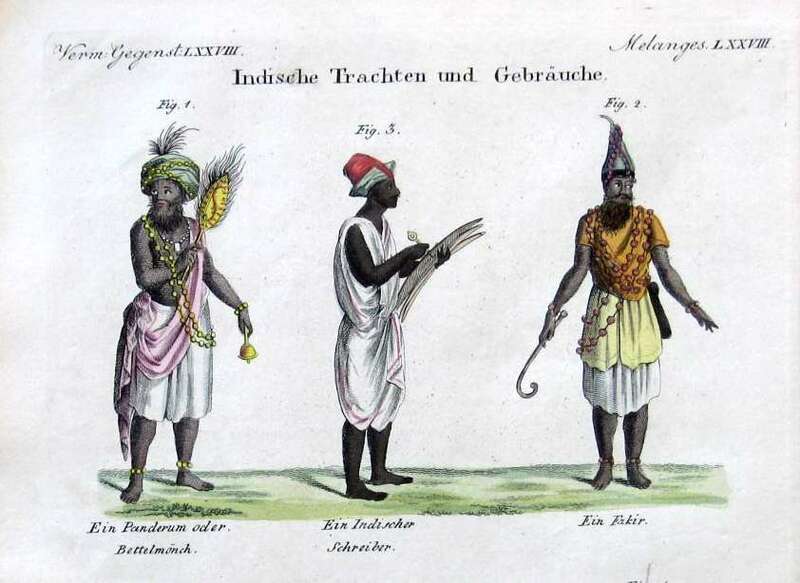 Lontar contains mythology, historical chronicles, religious treatises, medical prescriptions, horoscopes, calendar, etc. They are masterpieces in the art of illustration. 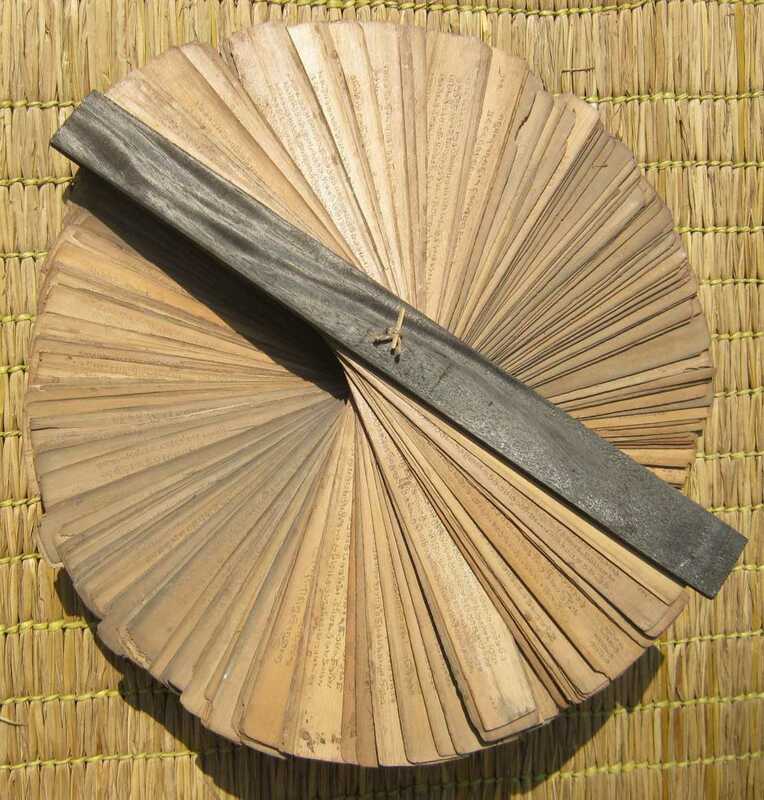 But more than that, they are also precious information from the past.Although paper was apparently known, palm leaves were used for both lengthy creative works and day to day administration. 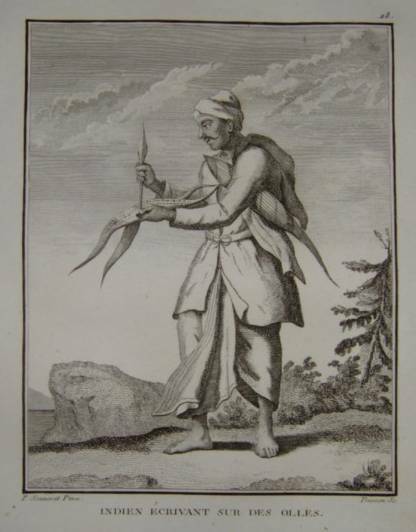 It is probable that palm leaves were in use in many parts of South India from the time of the earliest written records."